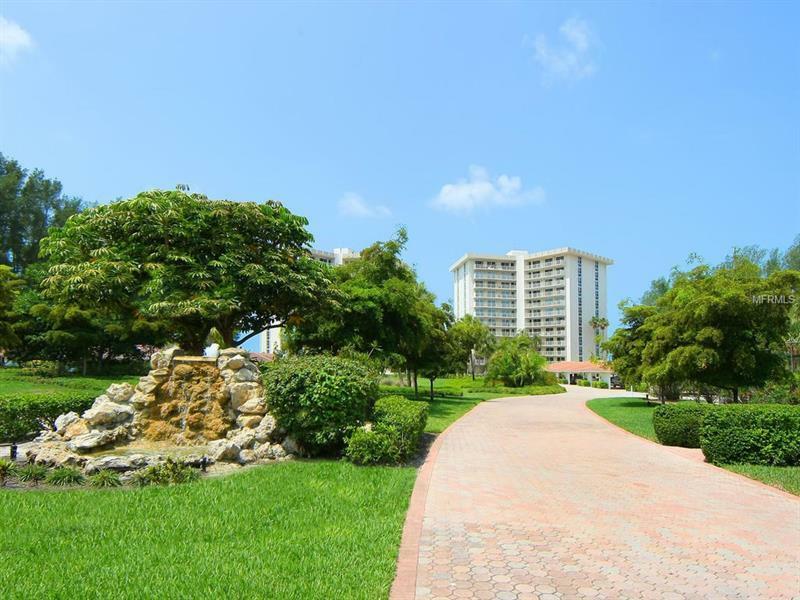 Come visit Islander Club which is located mid-Key and sits directly on the white sand beach of Longboat Key. The resort style living offers plenty of amenities. If you enjoy tennis, two Har Tru tennis courts are available to residences and the beachside Olympic sized heated pool is perfect for a quick swim after a walk on the beach or a workout at the fitness room. This furnished fifth-floor unit is light and bright and a pleasure to see. The open floor plan is nicely appointed with an updated kitchen which opens up to the living space and the gorgeous cherry wood floors throughout the main living area are inviting and soft on the eyes. A stackable washer and dryer can be installed in the hall closet. Enjoy a glass of wine and Gulf breezes on the 38' balcony which spans the entire home. Gulf front living for such a great price!